Needose products, with the unique and model design, enrich your lifestyle by the attractive color effects and distinctive appearances, In the combination with functionality and high quality, Needose products will be a central piece of your home and the main decoration element of your sitting room, dinning room, kitchen, bathroom, bar and garden. The magic mix and match. 3 different heights of translucent colored plastic body with different dressings on top, create different styles, usages and functions of candle light. 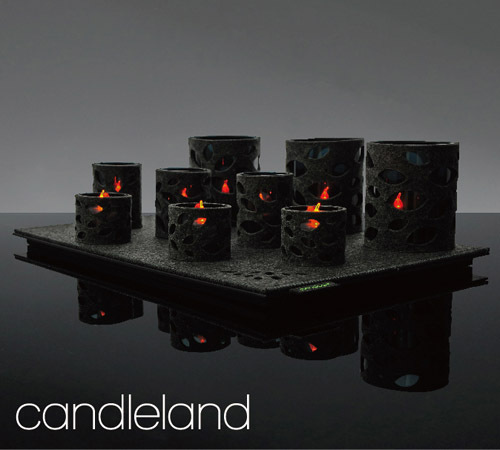 No real flame, no restriction, no limitation, Candleland series is your right partner of home decoration. The light is penetrating the cracks of the candles, with the reflection from the silver shinny tray, all bring up the atmosphere of Christmas in your house. A family sitting around Xmasland at home to share the joyful of the Seasons, Xmasland becomes the center piece of your family gathering. 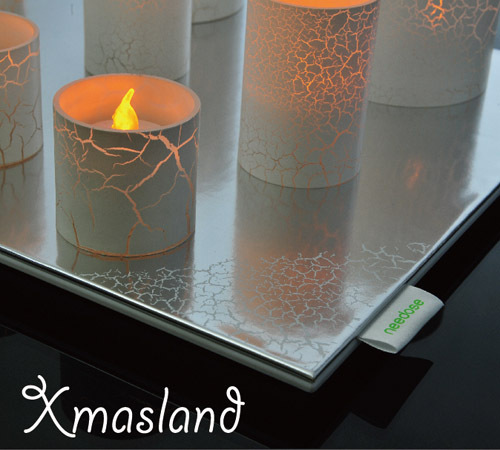 Xmasland is also a good partner of your wedding decoration. It can be put on the poolside or patio. White candle, yellow lighting, silver background, what a romantic pair up. Various felt colors, various translucent box colors, the perfect mix and match! 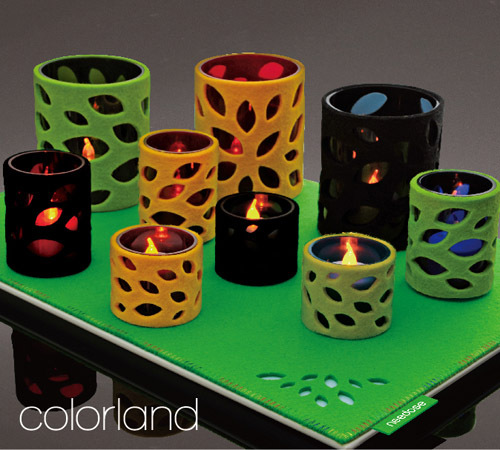 Naught and funny, Colorland perfectly matches your stylish home decoration. Candle and devil, orange and black. All of these are the icons of Halloween! 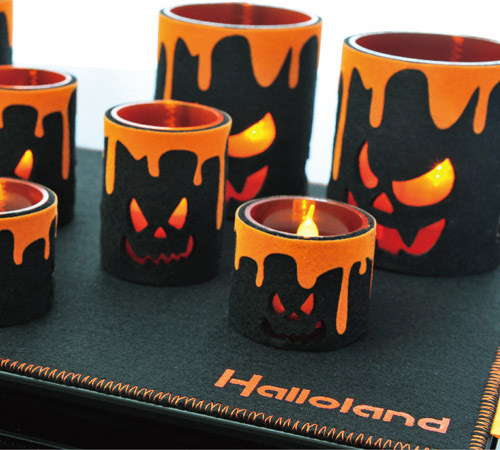 It is for sure being the focus of your Halloween decoration and the main elements of your Halloween party.